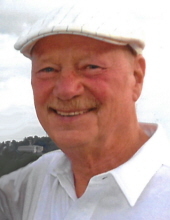 Donald “Don” Lawrence Henkel, 75, of New Cumberland, passed away suddenly on February 6, 2019, at UPMC Pinnacle, Harrisburg. Son of the late Julius and Helen (Notch) Henkel, he was born on November 14, 1943, in Duluth, MN. Don served in the US Air Force, where he learned to weld, including underwater welding. He then attended the University of Nevada, Reno, where he studied metallurgy. He spent much of his working life in California, retiring as a structural steel inspector from Construction Testing Services, Pleasanton, CA. He also served on the Grand Jury in Stockton, California for two years. Don was an avid reader and skilled poker player, with weekly trips to both the library and Hollywood Casino. He was also an enthusiast of beautiful and fast vehicles. He was a time trialer and autocrosser and enjoyed racing his Porsche 914 and 924. He also loved his Electroglide Harley Davidson. His current toy was a Mercedes CLK500. Don is survived by his wife of 41 years, Linda (Perry) Henkel; two daughters, Heather Anne Norton (Allen) of New Cumberland, and Lee-Anne Shortridge (Alan) of Fremont, CA; grandchildren, Wesley and Roark, Jennifer and Ashley; siblings, Dennis Henkel (Jackie), JoAnn Mansfield (Bob), Darrell Henkel (Chris), and Johanna Harris (Benny), all of California; brothers-in-law, Tommy Perry (Kaye) and Tim Perry (Julie) of NC, and Greg Perry (Gabby) of VA; and numerous nieces, nephews and cousins. A Mass of Christian Burial will be held at 11AM on Wednesday, February 13, 2019, at St. Theresa Catholic Church, New Cumberland. A rosary service and visitation will be held the night prior, Tuesday, February 12, from 4-6PM, at Parthemore Funeral Home, New Cumberland. The rosary service will take place from 4-4:30PM, followed by the visitation. In lieu of flowers, please consider making a contribution in Don’s name to: New Hope Ministries, West Shore Center (nhm-pa.org), 701 Bosler Avenue, Lemoyne, PA 17043. Please be sure to note “West Shore” or “Lemoyne” in the memo field. For more information, or to send messages of condolence, please visit www.parthemore.com. To send flowers or a remembrance gift to the family of Donald "Don" Lawrence Henkel, please visit our Tribute Store. A rosary service will be held from 4-4:30PM; the visitation will follow. Please be sure to note “West Shore” or “Lemoyne” in the memo field. "Email Address" would like to share the life celebration of Donald "Don" Lawrence Henkel. Click on the "link" to go to share a favorite memory or leave a condolence message for the family.